Of course the day after we post about eating healthy and making salad happens to be Fat Tuesday. Well, we’re sure as heck not posting a healthy recipe on Fat Tuesday…it just wouldn’t be right. With our family’s New Orleans roots, we’re often talking about cajun/creole cuisine, and today is a day to embrace it. Mardi Gras should always be dedicated to rich, fun recipes, especially those inspired by the South. So today, we’re posting Bourbon Ice Cream… the most delicious, southern, happy-tasting ice cream ever. 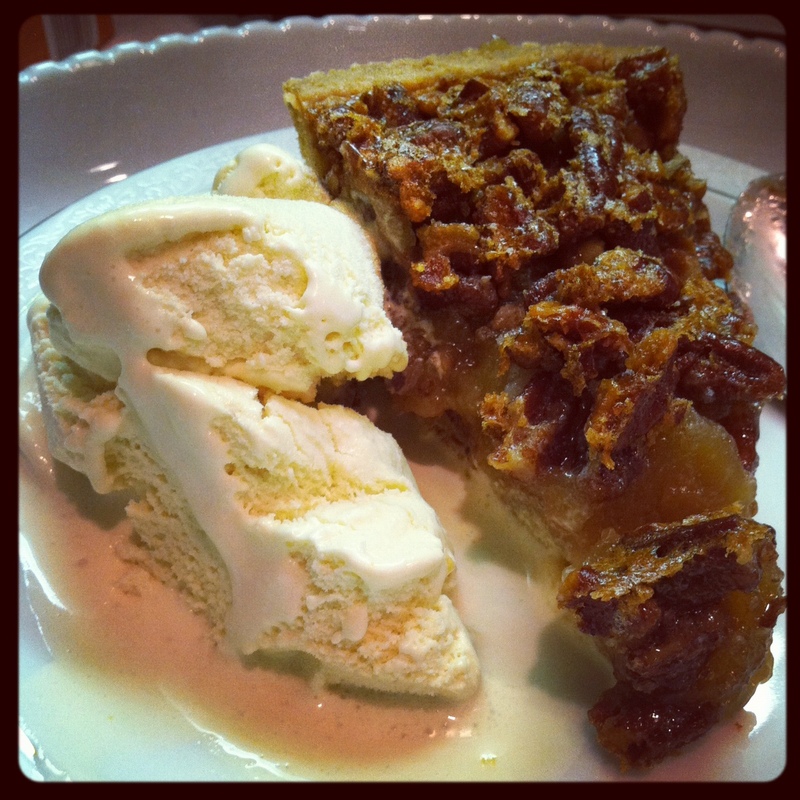 It pairs perfectly with Pecan Pie, which we posted back in 2010…This time, we made homemade pie crust for the pie and put a big scoop of this ice cream on top before serving. So, it may not be the healthiest recipe ever, but even if you’re trying to pull it together and eat better in February, we encourage you to take today off. We are! P.S. – If you’re engaged, we highly recommend registering for an ice cream maker, and if you’re invited to a wedding, we highly recommend buying the bride and groom an ice cream maker – because while it may seem strange, it makes this recipe possible…and who wouldn’t be happy about that?! that’s surely looks healthy and tasty, hope you can also post the recipe, thanks! Nice post! Ymmmmmmm!! We’d love to try it some day!!! !